My favorite part of Skitch is that there are just a few mark-up tools that are actually useful. Other systems either don't have any markup tools or entirely too many (ie. Snagit). I use each one of those tools and don't feel like I'm overwhelmed with other things I can do with the software. I just open it when I need it, mark up everything I need, and add that screenshot to a ticket that I'm working on. It's simple, easy, and doesn't have too many options. Other options may be more suitable for your needs if you're really looking for more 'power user' options, but this gets the job done and it does what it does well. I have to communicate with customers on a daily basis on how to do certain things within our software. Sometimes, no matter how descriptive you are in text, a picture goes a lot further. With Skitch in particular, the markups are clear and easy to read/are visible and are great for my older clients who need to understand the markups better than others. "Basically deprecated, but still the best"
Living in fear that Evernote will pull this software entirely (it's clear they are barely supporting it). And the highlight feature is either horrid or I really don't know how to use it properly—highlighting is better in pretty much every other app I've tried, including MS baked-in. It would also be great if it had one mini-Photoshop-type feature, i.e. the ability to pull two images into one screenshot. But I get that this really is a tall order for a screen capture software whose main gift is its streamlined ease of use. You need to be willing to give this up at a moment's notice, as it's really not being supported. 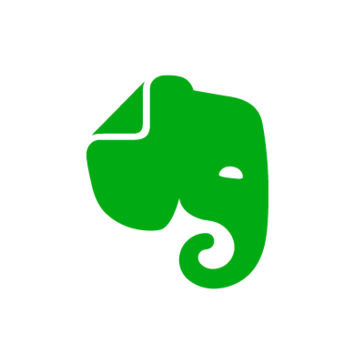 Its fortunes are tied to Evernote's, and while it's been around awhile, organizational software suffers from Hot Nightspot Syndrome—meaning, users are notoriously fickle, and proprietors are constantly coming up with enticing new things to try. Caveat user. A huge part of my job is customer support, so I'm constantly screencapping and marking up how-tos for customers. Skitch is so lightweight, my workflow is almost effortless in capturing the needed info for clients, as well as suppliers and our teams. "This is a software in which you can make simple designs in a very easy way." What I like the most about this software is that it is free and very easy to use. All the tools that this software has are very useful and easy to use, like snip and capture. Also, it is very easy to manage the photo in just two steps: drag and drop. I also love that it has a great variety of texts, forms and other animations, they are so beautiful and creative that it is very difficult to choose just one. Another aspect that I like about Skitch is the integration of Evernote, well... practically you create the profile on Evernote. There's nothing that I am disgusted with this software but rather it frustrates me and is that sometimes the option of copy and paste has problems. Another thing is that I want to be able to integrate other applications apart of Evernote, besides, it seems to me that Skitch is not an independent application, it depends on Evernote. When registering in Skitch you have to register also in Evernote but if you do not want to register in Evernote you have to obtain an independent installer via CNET. If your work is based on captures or if you like to take captures, I recommend that you start implementing this software in your projects NOW. Thanks to this software we finish the projects more quickly because it gives us the facility to drag and drop the photos, as well as we can cut them in the same application, now our projects are done in record time. That is the best benefit we have obtained in the company: the saving of time, because time is worth gold for everyone, both for us workers and for customers. "Skitch Is A Wonderful Tool"
Skitch is a wonderful FREE software which is an easy to use tool to take a screen shots and grabs and the ability to add sketches or annotations. You can easily drag and drop the files making it fast and easy to use! It is very simple and user friendly. The only downfall is the lack of tools and editing abilities. Of course Skitch is not PhotoShop, but some additional features could be a nice touch. However, for the price that it is, Skitch is a wonderful tool to have on everyone's computers for both personal use and for work. Incredible software for all kinds of businesses and people to use in their everyday lives. Skitch is a much better alternative instead of just using the simple screenshot option on the computer. Skitch provides huge benefits to write on screen shots and elaborate on photos. Skitch is used daily in my office and is much better than using a typical screen grab. It has solved the issue of not being able to directly draw on screenshots. I really liked how visually aesthetically appealing this platform was. An example is when making a point, whatever it is you are discussing, you can highlight it, bringing a visual connection to help drive your point. Also, this is a very fluid application, adding attachments to emails effortlessly. As I am a cost-conscious individual, I look for pricing to factor in whether this is a good deal or bad deal. I think it is a little beyond the price point, which I dislike about this. Also with saving your items, it can't do it locally. As I mentioned earlier, If your business has visual thinkers or a platform that you like an ease of use, then I would definitely recommend this application. It was very quick and easy to learn this application, even though I may be a tech-savvy individual, I could see someone who is not being able to use this effortlessly. Regarding the pricing, that is one of the things that prevented me from purchasing it, just based on the cost to use ratio. those who are visual thinkers, I think this really solves those issues, as I am a visual thinker. Also, if a business uses Evernote, Skitch syncs effortlessly with it. When using skitch, you are able to make digital notes. "Great tool to for all types of work"
I like that you can add words to your photos or screenshots, you can circle important parts and you can also add other things like arrows , or graphics to make your statement more clear. I like that I can easily share my notes or screenshots as well. I dislike that when you are a new user it is hard to navigate the program as it has many functions. If someone isn’t too tech saavy they will definitely have a more difficult time working with it. Also there have been times when the program closes on its own and I lose my work. Notes are more vivid and also the important areas of a presentation stand out because skitch allows you to add graphics that will accentuate the important information. It makes it easy for me to screenshot a part of the presentation and add important information, then save ans share with my colleagues. Skitch is worth trying if you take an abundant amount of screenshots and/or need to annotate them. Skitch is nice if you wish to make detailed documentation showing where to click, where to enter text, etc. If you're a blogger or a documentation maintainer, this app is worth a try - it may decrease the amount of time you use during your normal workflow. "Great free snipping tool with simple drag and drop features"
With this (free!) tool it is very easy to make a screen snip/capture and add nice annotations. The best is the drag and drop feature: no need to save first somewhere and import this file into the application. On Windows, we can just drag and drop! "Valuable Tool for Creating Instrucitonal Visuals"
Skitch allows you to very easily manipulate screenshots, for example, to better highlight certain elements for intuitive instruction. The features are a bit limited as compared to a full photo editing software. I'm not, for example, able to bring in additional images on top of the current image. We're able to use Skitch to convey visual information internally and to customers. We often can better explain certain functionalities with screenshots versus words. "Fast and easy, covers 90% of my annotation needs"
That being said, I can always use Photoshop when I need something in higher fidelity or more sophisticated annotation/multiple screenshots. "Great for on the go annotations of the physical world "
It's great for taking photos of real world projects (such as construction sites or architecture) and sending annotations to your team on the fly. The drawing tools were a little basic and rudimentary at the time. But still highly customizable. Keeping the lines of communication open and using the app to illustrate issues rather than having to find the words to describe things. Why not show than tell? We are able to easily take pictures of bugs live in production to pass off to the development team or attach to tickets. Simple to use and great for getting quick screen captures for tickets. I wish moving around the added arrows was a little easier to maneuver. Also the CTRL+S saves to evernote rather than regular save. Other than that it's great. Simplest screen capture application there is! A picture goes far when communicating with clients and this is the simplest way to show them things regarding the custom software we built for them. "Skitch makes marking up screenshots easy"
Skitch is intuitive and easy to use to markup images. I use this often when describing elements of design to clients. I havent quite figured out how it interfaces with evernote or how to easily go back and update markups that I have created. That is possibly just me not taking the time to investigate. It allows me to easily markup designs and share them with clients. "It is quick and simple"
This application allows for quick screen capture and annotation. It is simple to use and straight forward. You can not change the size of the text and you are asked if you want to delete a screenshot each time you take a new one which slows down performance time. It helps with creating PowerPoints and presentations by using screenshots. "Great tool for fast and easy image editting"
In addition to the application being free, we also like the user interface and it's usability. At times, this application was limiting on the customization features. We did have to move over to SnagIt for more functionality -- but again, this is a free vs. paid comparison. Quick and easy screenshot and image sharing through email and online viewing. "Great for marking up images"
I use Skitch to mark up images before I send them to staff. It allows you to put arrows, text, circles, etc. It is hard to save images once you are done. I generally drag the icon to my desktop to save. Makes it easier to explain/communicate things to staff members in screenshots. I liked the ease in which I was able to not just take screenshots, but mark up and drag / drop to other sources (email / Slack...). Only supported on Mac, and no longer supported on PCs, which is unfortunate. The tools allowed for more consistent screenshot capabilities across our organization for knowledgebase use. "Easy and fun to do "
* We monitor all Skitch reviews to prevent fraudulent reviews and keep review quality high. We do not post reviews by company employees or direct competitors. Validated reviews require the user to submit a screenshot of the product containing their user ID, in order to verify a user is an actual user of the product. Hi there! Are you looking to implement a solution like Skitch?